Product and price: Product mix is important in retailing. You can either focus on one type of product (kids’ toys or garden tools, for instance) or a broad mix of products. Study sales in your neighborhood to see what works best. Check out the prices, too. You should consider not only the original cost, but also what others charge at sales like yours. Rather than use a lot of time individually pricing each item, consider grouping like items together on large tables, posting the same price for all items on that table – like retailers do. Place (scheduling/location): Think about a high-traffic area – retailers pay a premium for high-traffic locations. Perhaps you can team up with several neighbors and choose the house that has the most street visibility. Knowing your target market is paramount in timing your sale. Consider scheduling with other activities in your neighborhood – art shows or community events will help draw additional traffic. 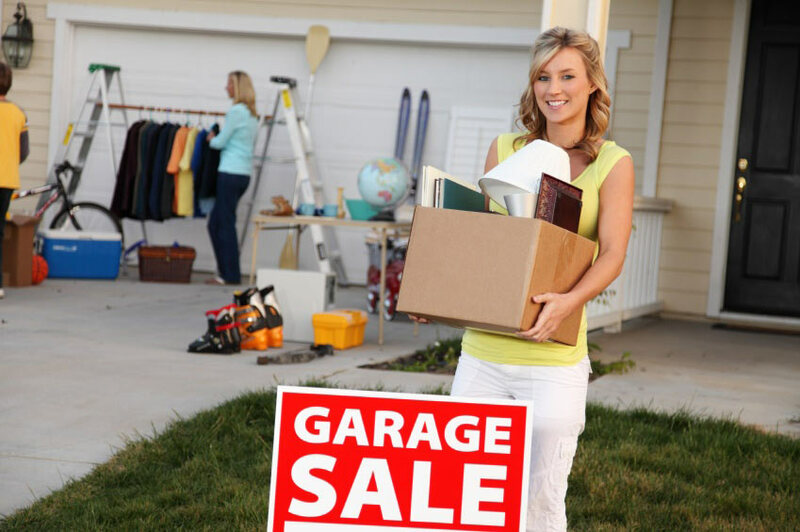 Promotion (advertising/marketing): A successful garage sale requires careful planning and promotion using proven advertising strategies to make your sale stand out. One successful strategy is choosing a theme related to the items to be sold and carrying out the theme in all aspects of the sale. For example, if most of the items to be sold are from the 1980s, you’d play 80s music, have everyone working at the sale dress in 80s style and use 80s elements in your flyers.